One of the most common reasons why your furnace keeps running is because your furnace has a dirty air filter. If your air filter is dirty and/or clogged, it limits the airflow to and from your furnace, which means that your furnace may be working overtime to (unsuccessfully) heat your home. You should clean and replace your furnace air filter regularly so that your furnace can function effectively and continuously, and isn't wasting energy. If you neglect to clean or replace your air filter regularly, then your furnace may develop more serious issues over time which you may need to have your local furnace repairman do a furnace replacement or furnace repairs in Columbia Heights MN. All Climate Mechanical, your local HVAC contractor in Columbia Heights Minnesota, can provide you with the following services: Furnace Replacement, Furnace Repair, Furnace Service, Furnace Maintenance, Air Filters and Filtration, Boiler Replacement, Boiler Repair, Boiler Maintenance, Boiler Controls and Outdoor Resets, Pipe Thawing, Boiler System Operation, Unit Replacement, Unit Repair, Unit Maintenance, Storm Damage Assessment, Thermostats and Controls, Rebates, Preventative Maintenance, Air Conditioning Replacement, Air Conditioning Repair, Air Conditioning Maintenance, Air Conditioning Coils, Ductless Split Systems, Economizers, and Plumbing. One of the most common reasons why your furnace keeps running is because your furnace has a dirty air filter. If your air filter is dirty and/or clogged, it limits the airflow to and from your furnace, which means that your furnace may be working overtime to (unsuccessfully) heat your home. You should clean and replace your furnace air filter regularly so that your furnace can function effectively and continuously, and isn’t wasting energy. 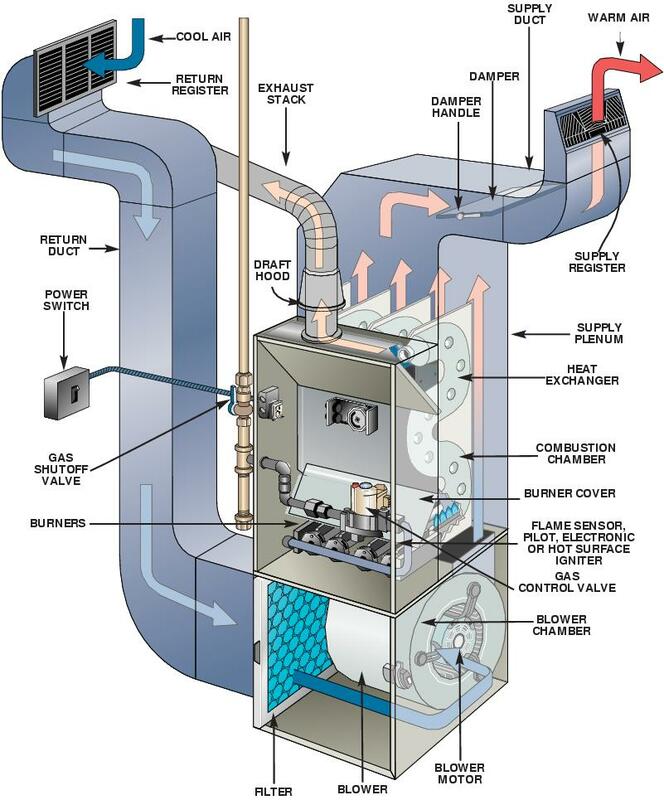 If you neglect to clean or replace your air filter regularly, then your furnace may develop more serious issues over time which you may need to have your local furnace repairman do a furnace replacement or furnace repairs in Columbia Heights MN.